A drug allergy occurs when your immune system overreacts to something in a medicine. This causes an allergic reaction. You may have skin problems, such as hives or a rash. Your lips, mouth, and throat may swell. You may have trouble breathing. And you may have belly pain, nausea, vomiting, or diarrhea. A reaction can range from mild to life-threatening. After you have an allergic reaction to a medicine, you may always be allergic to that medicine and to others like it. Drug allergies are different than side effects and drug interactions. Side effects are bad reactions to a medicine. 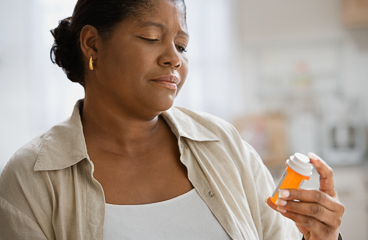 Drug interactions occur when two or more medicines that you take do not get along in your body. Some people may confuse these with drug allergies. Go to the emergency room every time you have a severe reaction. Go even if you have used your shot of epinephrine and are feeling better. Symptoms can come back after a shot. If you were given a medicine for your allergic reaction, take it exactly as directed. Call your doctor or nurse call line if you think you are having a problem with your medicine. Avoid medicines like the one that caused your allergy. Ask your doctor or pharmacist if you think you may be taking a similar medicine. Wear light clothing that does not irritate your skin. Use calamine lotion. Or take an over-the-counter antihistamine, such as diphenhydramine (Benadryl) or loratadine (Claritin). Read and follow the instructions on the label. Do not use strong soaps, detergents, and other chemicals. They can make itching worse. Be sure that anyone treating you for any health problem knows that you are allergic to this medicine. Enter U411 in the search box to learn more about "Drug Allergy: Care Instructions".